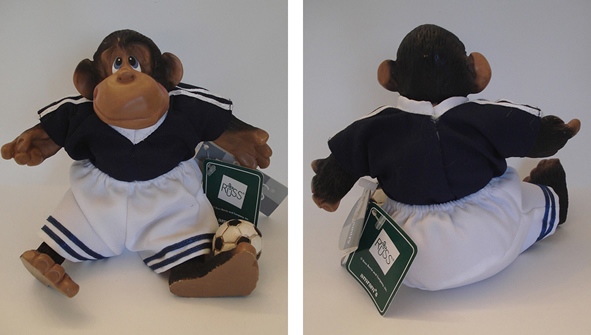 You won't find anything like P. Le Chimp for the soccer fan in your life. Hurry, there aren't many of these monkeys left! 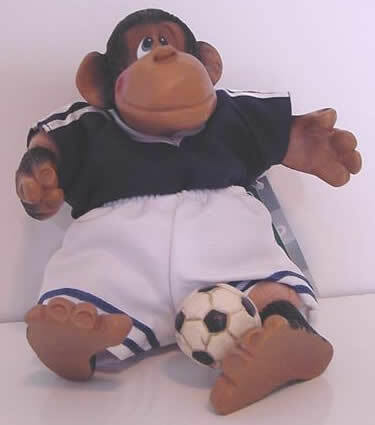 White soccer shorts with blue trim, blue shirt with white trim and, naturally, a soccer ball afoot... P. Le Chimp, the soccer monkey, is ready to play!